Although many people are fully aware of the power behind WordPress, not as many can say the same about a popular, though lesser-known publishing forum called Ghost. 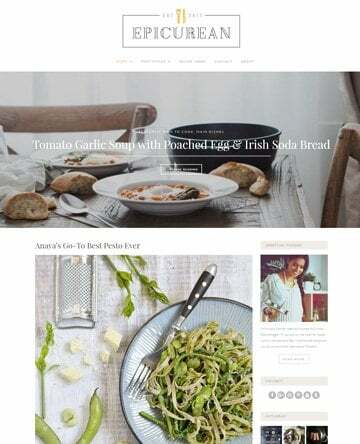 Designed to echo the WordPress platform in simpler terms, and give writers a place to just write, Ghost is sometimes placed well above the WordPress CMS despite its modest design and functionality. Today we are going to look at both WordPress and Ghost to see which one is the best option. We will accomplish this by exploring their key differences in hopes that you will be able to more easily decide which website platform you should choose to begin building your website on. Easily Compare WordPress and Ghost with this Infographic. WordPress is the largest blogging platform in the world. Used by millions worldwide, and seen by even more each day, WordPress began as a blogging system for the everyday writer who wanted to publish content online. However, WordPress has evolved into a complex content management system that far surpasses a simple blogging platform. Now supporting bloggers, businesses, online shops, and more, WordPress is considered a full-fledged website CMS. 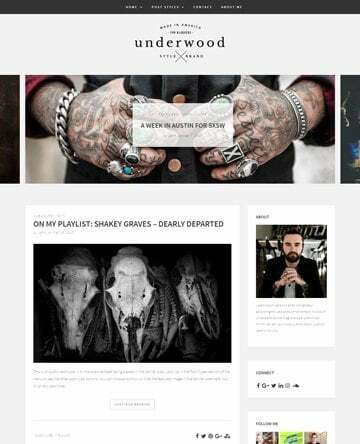 Ghost, which launched in 2012 by avid blogger and website designer John O’Nolan, was created in response to WordPress’ growing extendability as a CMS. 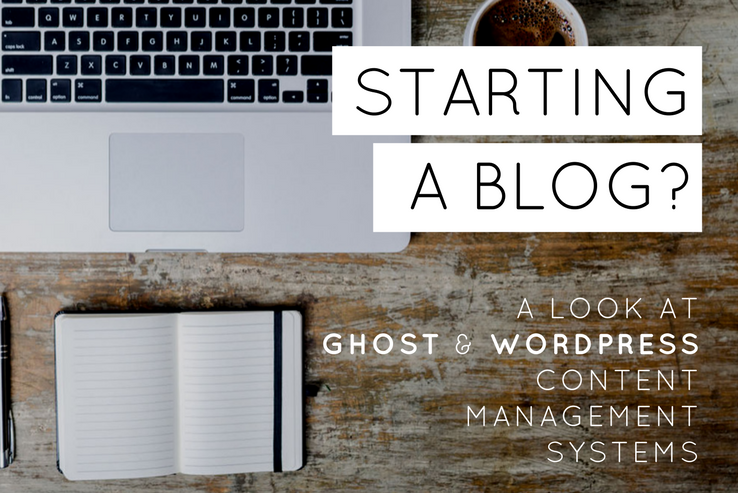 Seeking to keep things modest for dedicated bloggers who don’t want all the bells and whistles WordPress provides, Ghost is a basic blogging platform that focuses on publishing content. Now that you have a good idea what WordPress and Ghost are all about, let’s compare the two. Both WordPress and Ghost are open-source projects meaning the original source code for each is available to anyone, free of charge. This also means that you are able to build unlimited websites from the ground up yourself using the code if you are able. WordPress. WordPress has plenty of domain and hosting options available for website owners of all sorts. Regardless of your budget, website size, or service needs, there is a plan that will work for you. In fact, some hosting plans start for as little $2.95/month making WordPress an affordable option. Ghost. Ghost does not offer an open marketplace of hosting options. Instead, they offer three distinct pricing plans of their own ranging from $19-$199/month depending on your individual needs. This makes utilizing Ghost much more expensive. WordPress is a very simple to use blogging platform, though some have made claims that it tends to become clunky on the backend. That said, you can create any kind of website you want to (e.g. blog, online shop, membership site, etc.) thanks to its flexibility and built-in CMS capability. 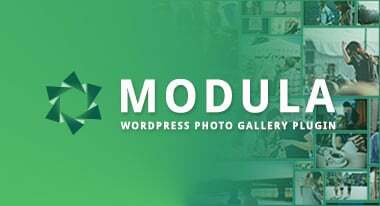 More so, WordPress has thousands of free and premium WordPress-specific plugins and themes for added functionality and web design that website owners of all levels are capable of using. Ghost is a very basic blogging platform that caters to website owners of all levels. In fact, because its main purpose is for publishing content, it is thought that Ghost is far easier to use than WordPress. For instance, Ghost aims for a minimal feel throughout its platform by baking in core functions such as social media integration, analytics monitoring, subscribe forms, and RSS feeds. Unlike the WordPress platform that requires the installation, activation, and configuration of additional plugins for such functionality, Ghost provides website owners those capabilities out-of-the-box. When it comes to user management, it is said that WordPress has the right idea. For example, the core platform accommodates multiple authors (though sometimes only with additional plugins), and allows for the assignment of user roles and determination of permissions in the backend. 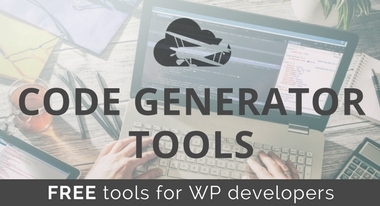 Additionally, installing, activating, and accessing WordPress plugins (whether free or premium) is easy to do. 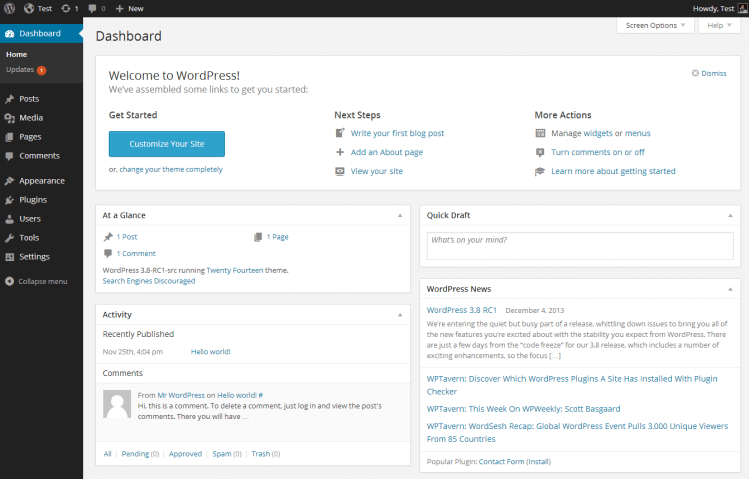 Though the WordPress dashboard is heavy at times, in all it is relatively easy to maneuver. Conversely, Ghost is attempting to simplify things far more than WordPress and make things available to website owners directly from the backend of the platform without having to add functionality in the form of themes or plugins as WordPress does. For example, though still in its beginning stages, Ghost is trying to become a multi-author blogging platform straight out-of-the-box. In addition, Ghost supports dedicated public profiles for everyone and for the collaboration of team members – all without adding anything to the core platform. Lastly, Ghost prides itself in having built-in SEO optimization. Whereas WordPress requires additional plugins or SEO optimized themes for better search engine rankings, Ghost comes pre-packaged with that feature. Though both WordPress and Ghost are blogging platforms, the truth is each differ in their content creation capabilities. For example, WordPress gives you full blogging ability but comes with a ton of additional options for creating a large-scale, multi-use website. With so much variety when it comes to customization, design, and functionality, it is easy to lose sight of the basic task of publishing content. For example, hundreds of shortcodes are available for changing fonts, layouts, and colors. That said, the text editor used for creating content is intuitive, even for a novice website owner. Plus, it offers a lot when it comes to customizing your content. Ghost, on the other hand, is a simple blogging interface designed to get you creating content right away. Implementing the popular Markdown feature, Ghost lets website owners create content in plain text form and converts it seamlessly into a clean, structured, HTML form for display on your website. If you are not familiar with the Markdown writing environment, there can be a bit of a learning curve. However, plenty of advanced bloggers claim that once you get the hang of it, Markdown is actually very convenient and makes blogging easier than ever. 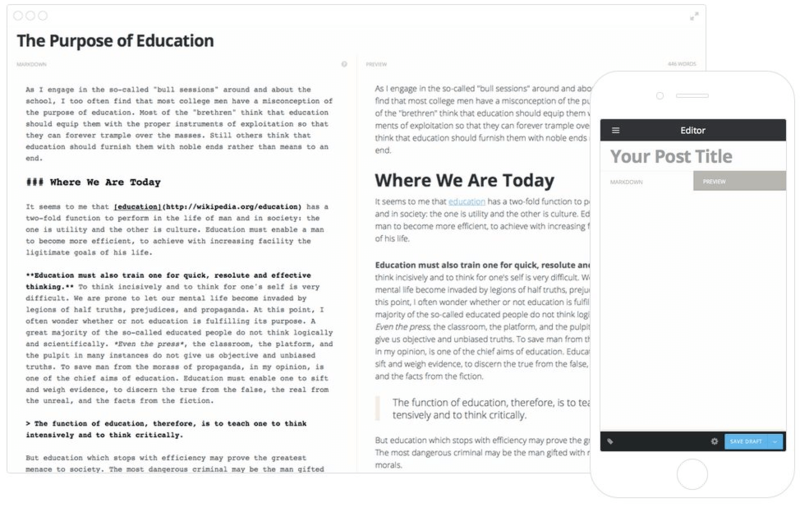 In addition, Ghost utilizes the live side-by-side view when writing content so you can see what you are writing in Markdown. Plus, it shows you how your website will render to site visitors once the blog is published. This neat feature makes creating blog posts a breeze and gives you full control over how your posts will display. Community involvement in open-source projects such as WordPress or Ghost is what allows such free projects to thrive and grow. And, the fact that WordPress is often known best for its community involvement says a lot about the blogging platform. For instance, there are reputable forums you can frequent for question-and-answer sessions. Or, you can attend an annual WordCamp to network and learn about all things WordPress. In addition, there are many authoritative WordPress websites dedicated to sharing knowledge about the WordPress blogging platform. These websites include how-to guides, product reviews, documentation, and more. All of this is helpful to any website owner building or maintaining a WordPress blog. Alternatively, Ghost is a bit behind in the community effort because it is still relatively new and small-scale. However, there are forums and written documentation that help guide you through the process of using Ghost. And, since Ghost is gaining in popularity amongst those that want to focus solely on publishing content on their website, this community is sure to continue growing. Both blogging platforms have a lot to offer when it comes to overall website design. Nevertheless, WordPress still edges out the competition, even when compared to Ghost, due to its open marketplace mentality. 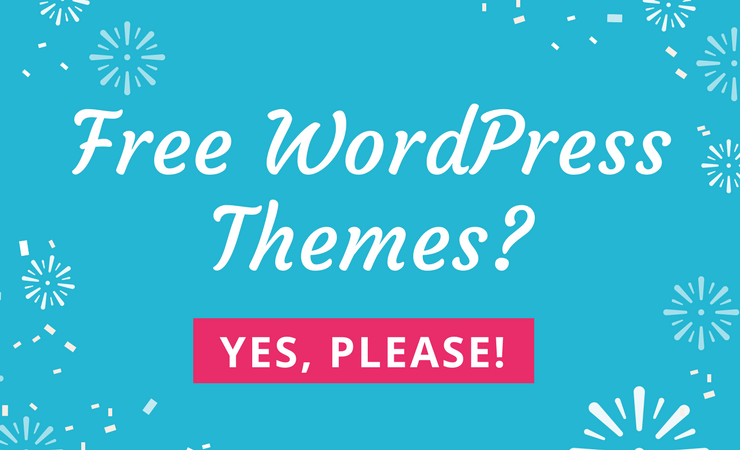 Plenty of WordPress websites offer free and premium themes and plugins for customizing your WordPress website. For example, Themeforest is one of the largest and most popular WordPress marketplaces. 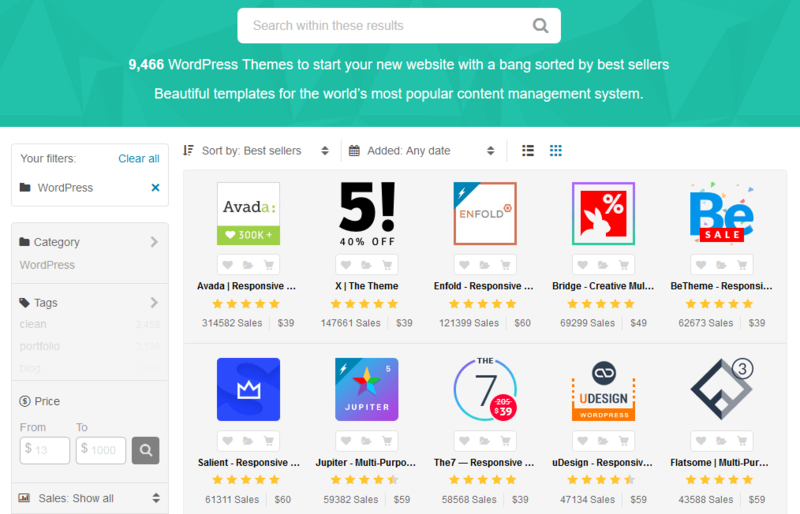 There, interested website owners can search for WordPress themes and get information such as theme descriptions, feature lists, ratings, reviews, and live demos. What’s better, WordPress theme and plugin developers always aim to make their products as user-friendly as possible. Understanding that not everyone understands complex coding language, many WordPress products require little-to-no coding experience to use. 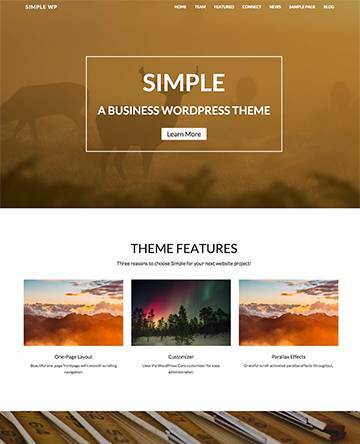 Lastly, WordPress themes have a built-in Live Theme Customizer for making changes to the overall look of your website with just a few clicks. 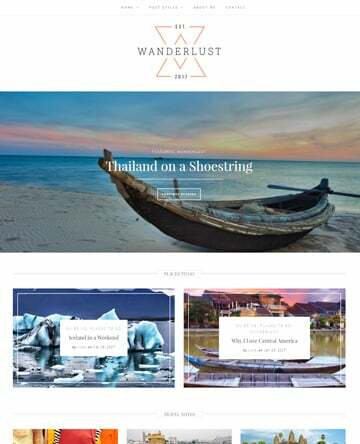 With built-in page builders, endless colors, easily to upload images, and pre-packaged font options, many blog-centric WordPress themes are a cinch to customize from the backend without any additional plugins or custom changes. Ghost has more limited options when it comes to design options, specifically because of its centralized marketplace concept. 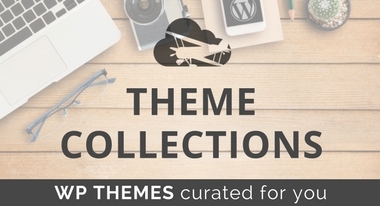 That said, there are some great theme options available for creating a stunning blog. In addition, knowing that Ghost is a non-profit company that re-invests all premium product revenue back into further developing the Ghost platform, many customers feel satisfied with the limited amount of design choices. It is important to note that since Ghost is a blog-centric platform, there are few extensions for adding functionality to your website. This is because all blogging tools you need for your website are readily available in the platform itself. If, however, you do want to make custom changes to your blog, you most likely need to have coding experience. In the end though, that’s the point of Ghost. It is not extendable like WordPress because it has one focus – content creation. Altogether, both WordPress and Ghost are exceptional blogging platforms. I think this makes it tough to decide who the ultimate winner is. In fact, since each platform has such different intentions, there really is no way to make a solid side-by-side comparison and determine the victor. It really just depends on what type of website you have in mind, how extendable you want it to be, and which one you feel you is worth investing in. Should you invest in WordPress or Ghost? It really just depends on what type of website you have in mind. 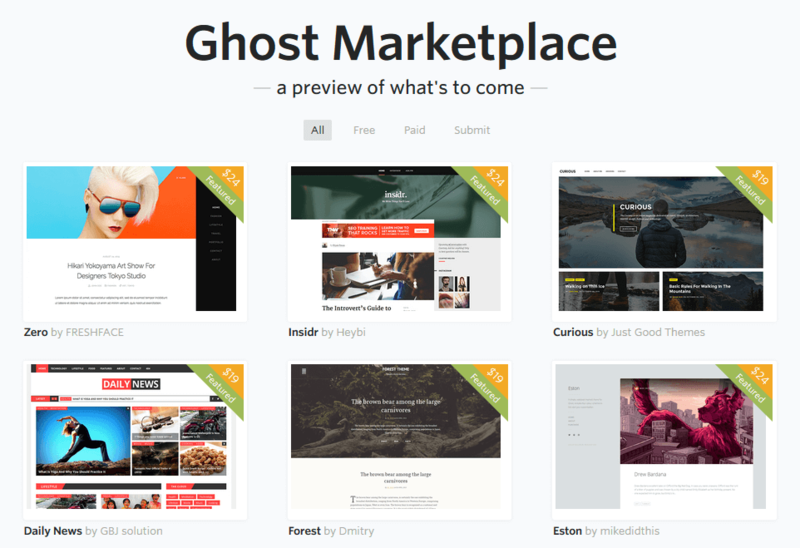 In the end, if you are looking for a simple blogging platform, Ghost is going to be your best bet. This is especially true for those just started out in the blogging world. However, if you are a blogger looking for flexibility and versatility, WordPress is the choice for you. After all, using WordPress opens you up to possibilities like online shops, sales funnels, landing pages, and flashy design. Do you use either WordPress or Ghost as your website’s blogging platform? I would love to hear all about it in the comments below!